Pine Tar has long been used in Scandinavian nations as a preservative for wood which may be exposed to harsh conditions, including outdoor furniture and ship decking and rigging. 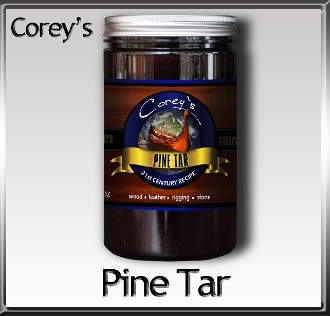 Pine Tar is a sticky material produced by high temperature carbonization of pine wood. Our Pine Tar is a reclamed product from the paper industry. Mix with our pure tung oil and Citrus Solvent.